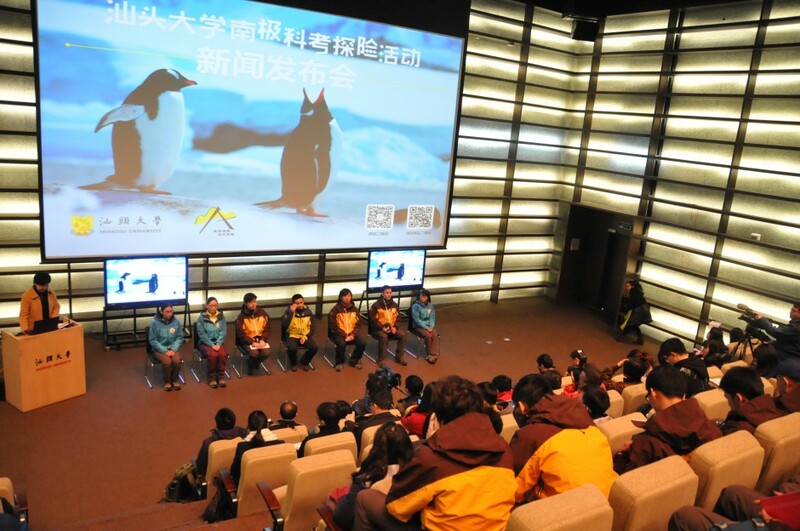 With the support of the Li Ka Shing Foundation, an expedition team from Shantou University will travel to Antarctica for scientific research and exploration from February 14 to March 6, 2014. The team members will set sail on the expedition vessel from Ushuaia, Argentina, cross Drake Passage, enter the Antarctic Circle, and finally land on the Antarctic Peninsula and the surrounding islands to begin their exploration. The team members will also visit the Chinese scientific research station “Great Wall Station”, and conduct scientific research and exploration on such topics as environmental protection, polar region ecology, commercial tourism, humanities and history. 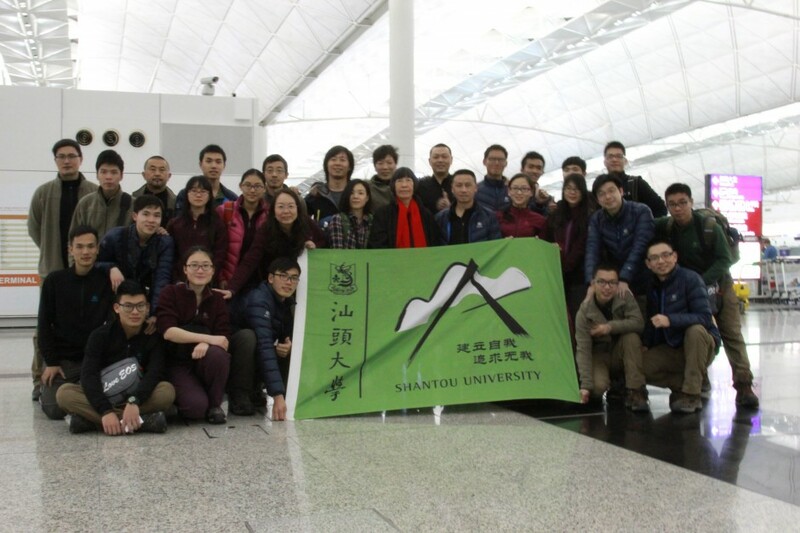 Shantou University will become the first university in Mainland China to organize a scientific exploration mission to Antarctica for its faculty and students. 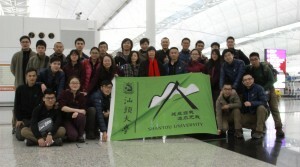 The STU Antarctica expedition team consists of 34 members, including 18 students and four teachers selected through various trainings and competitions, five project management staff members, team leader Vice President Li Dan, medical consultant Mr. Sun Lingye, who is the first Chinese instructor from the Wilderness Medical Associates International (WMAI), as well as six coaches from HK Discovery. Departing from Shantou University, and passing through Hong Kong, Dubai and Buenos Aires, the expedition team members will arrive at Ushuaia, Argentina and then get on the expedition vessel to begin their journey to Antarctica. According to the schedule for the expedition vessel, the team members are allowed to conduct about three hours of exploration separately in the morning, afternoon and evening, if the weather permits. During that time, they will observe the sea ice, iceberg and glacier from the rubber boat cruising on the peaceful waters of the bay. If there is any shallow near the islands or bays for the rubber boat to land, the team members can land on and observe the penguins and other animals, as well as investigate the geographical environment. 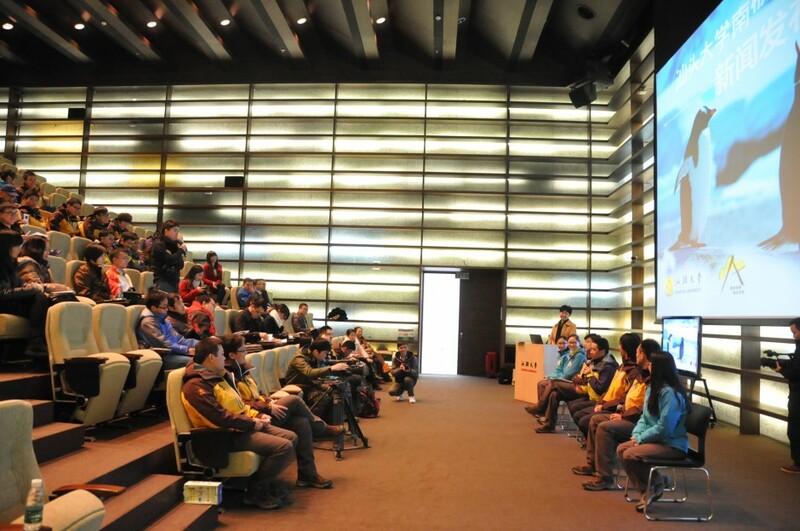 Besides, the team members will prepare for hiking, camping and other activities on the snow. There will be no fixed route for any landing, but signs will be marked in advance to give tips for the participants to understand where to go and where not to pass, and to choose their own routes. Team members will have opportunities to interact with experts and tourists from all over the world on the expedition vessel, including the team leader, scientists, photographers and bird experts. Those experts and scholars will not only give lectures on the vessel about scientific expeditions in the polar region, but will also participate in most of the landing activities and answer questions from the team members anytime. 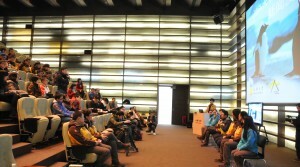 The staff of the “Great Wall Station”, will give an introduction of the station and its scientific research equipment. They will also communicate with the experts of the station on the development of Antarctica expeditions done by Chinese people, in order to better understand China’s current status in conducing scientific research in Antarctica. During their 21-day journey to the Antarctica, 18 students will be divided into four groups focused on environmental protection, humanities, commercial tourism, and artistic photography, based on their strengths and interests. Each group is under the guidance of a professor with expertise in the field. Having read and understood the Antarctic Treaty, the environmental protection group members will try to learn about how the organizations and institutions which stepped on Antarctica before complied with the treaty, as well as what measures they have taken to protect Antarctica. Moreover, they will investigate the ecological environment of Antarctica through studying the lichens there. The humanities group will focus on exploring the development of Antarctica expeditions in human history. The group members will collect adventurous stories and learn more about scientific expedition to Antarctica by interviewing and discussing with the scientists and tourists on the expedition vessel. They will also write the story of the journey of the STU Antarctica expedition team. Members of the commercial tourism group will mainly study the current state of Antarctica tourism, how the tourist companies develop their business, and what measures these companies take to ensure compliance with the Antarctic Treaty. Their aim is to find out how to protect the original ecological environment of Antarctica while developing tourism, and to share their experience and findings. 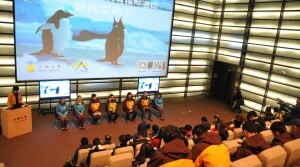 Led by a teacher from Cheung Kong School of Art & Design, the artistic photography group plans to produce a documentary about the scientific expedition, which is expected to reveal rarely known facts of Antarctica to the public by telling the stories of those who work in the polar region and those who are on the expedition vessel. Each team member has been well-prepared for what they are going to do. Zhang Yidi, one of the members, expressed her excitement for the oncoming interviews and discussions with the scientists, tourists and staff of the Great Wall Station she will encounter on the journey. From university-wide selection at the very beginning till now, the team members have been together for more than half a year. “We are almost like teammates, working with each other and caring for each other.” Zhang Yidi still feels touched when she recalls the help offered by other team members when she sprained her foot during their training at Seven Peaks in Guangdong. 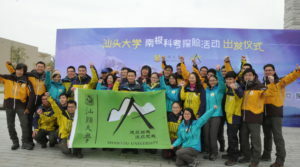 All team members have participated in various training activities, such as training programs at Nan’ao Island, deserts in Xinjiang and Seven Peaks, Hong Kong Polar Region Workshop, as well as snow camping on Chang-bai Mountain, which helped them lay a solid foundation for the successful completion of the Antarctica expedition mission. 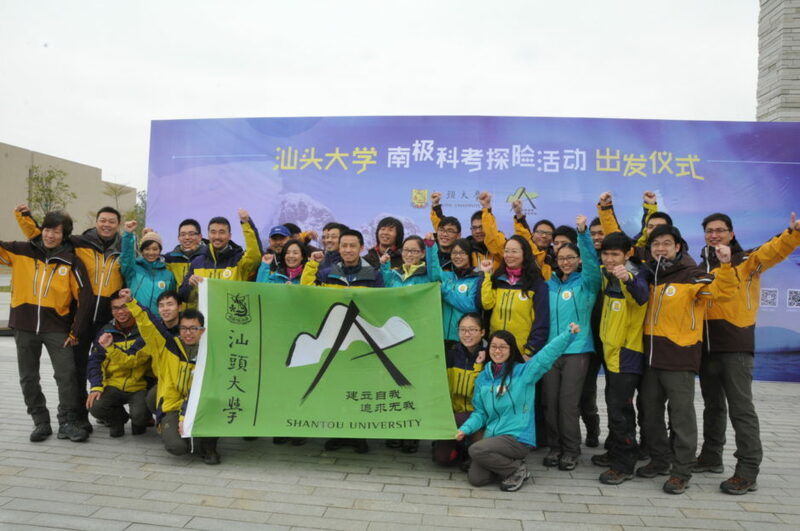 Prior the Antarctica Expedition Project 2014, STU students and faculty had conquered the Shangri-La highland, ascended the glacier of Shishapangma, crossed the Yarlung Zangbo Grand Canyon, and encountered the chiru in Kekexili. As adventurers, they challenged themselves and proved themselves in the journey. Making use of the unique natural environments of highlands, snow-covered mountains and the polar region, STU High Achievers Programmes aim to provide students with unique learning experiences which would help them develop sound body and mind, and tap their full potential. The students will understand that studying takes place not only on campus, but even on the highest mountains or the extreme polar regions. The Antarctica Expedition Project 2014 represents the continuing efforts of STU to practice and promote Whole-person Education. By creating a unique journey to Antarctica for students, the Project is designed to become a milestone of the development of STU high achievers programmes since 2009, to make outdoor education a new model of undergraduate education at STU, and to play an exemplary role for higher education reform and innovation.